The Lakshmi Narayana Temple is home to the deity of Goddess Lakshmi and her husband Vishnu. Built by the Birla Family- a popular Industrialist in India, the temple’s tranquil environment surrounded by the lush green Arera Hills, is a rare experience in itself. The temple also has a small museum that accommodates sculptures dating back to the 12th century. The panoramic view of the city from the temple, is the icing on the cake! Stop by at the place to explore its beautiful architecture and peaceful ambience. 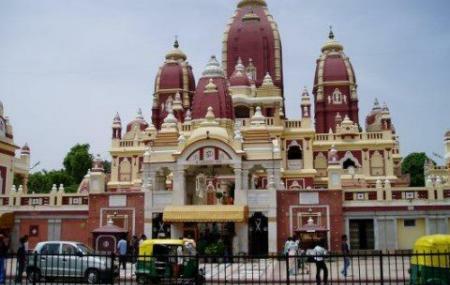 How popular is Lakshmi Narayan Temple? People normally club together Bhimbetka Rock Shelters and Bhadbhada Dam while planning their visit to Lakshmi Narayan Temple.